Have Fun. Give Back. Help Hammond! Our Past Annual Poker Runs have been a great success! Thank you to all who participated! Check out where funds raised have gone to in the past (below). Don't miss out on the fun this year on August 18th, 2018! Paddling is the one of the fastest growing sports in the world and we've worked hard to create a fun and unique event all ages can enjoy! Our goal is to install new kayak launches in Hammond! ﻿In our inaugural year, with your support, funds raised were used towards the purchase and install of ten (10) attractive new benches and beautiful flowers pots scattered throughout Hammond in 2015! We hope residents and visitors will enjoy this new improvement to the community. This spring, various community members further supported this effort by purchasing memorial plaques to be mounted on these benches, honoring those who have help make Hammond a truly special place. 6) Establishing an Immediate Needs Fund to provide aid to future individuals and organizations in need. We're working hard to have 2016's goal be the purchase and install of new Kayak Launches in Hammond! 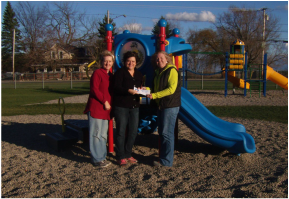 A big thank you to all of our community members who supported phase two of our bench project--by purchasing a memorial plaque in honor of a loved one. 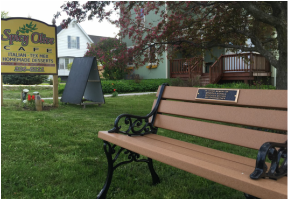 Be sure to check out all twenty of the memorial plaques in town, displayed on our new benches. Through the memorial plaque order process it became very clear that we have some AMAZING individuals who have been a part of Hammond throughout the years! Four lines with 24 characters is simply not enough space to fully introduce, admire and appreciate the life contributions of the people who have been memorialized in this community project. As such, we felt it would great to share a more complete story of who these people are, and why they are being honored by those who love them. This document will provide basic info and photos for you to better get to know those who have made our community special. All of these kind and generous people have the enduring mark in time of making our community a place to be remembered and proud of. Many came before them and many will come after them. Many others come to mind that made that mark also and may not be recognized by the few benches that are displayed, but they have not been forgotten in our memories. We challenge everyone to stand in front of one of these plaques and stare into the name presented and tell us that you are not moved by a remembrance of the individual named. Our work is not done---We are all blessed!